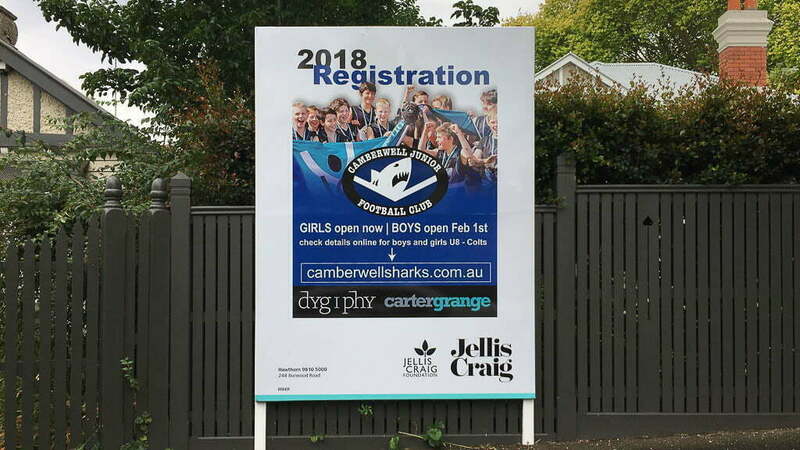 As Premier Partners of Camberwell Sharks Junior Football Club this year, we were excited by our first sighting of a Sharks billboard for new registrations displayed on Prospect Hill Road opposite Camberwell High School today. Dygiphy designed the billboards and is featured as a major sponsor. Earlier this year we provided a new website for the Sharks, and are providing ongoing administration for the site. If your kids are planning to play in the 2018 season, be sure to check out the registration details on the new site. We’re looking forward to supporting the club throughout the year.